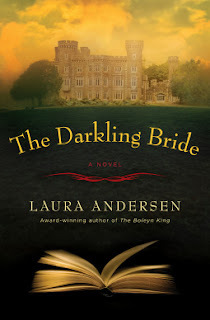 The Darkling Bride by Laura Andersen is 2018 Ballantine publication. I had a feeling I’d would like this one! A seven- hundred- year old Irish castle, multiple family tragedies, mysteries, unsolved crimes, a legendary author, an unpublished manuscript, a dash of romance, and a library to die for- Be still my heart! This story is, in many ways, an ode to Gothic mystery and romances, especially those written back in the sixties and seventies by such acclaimed writers as Mary Stewart and Victoria Holt. The story has three separate timelines, but while that does sound daunting, it is very easy to follow and not at all confusing. The Darkling Bride, a dangerous woman, said to haunt Deeprath Castle, is an old Irish legend. Some believe she was behind the sad and mysterious death of Jenny Gallagher back in 1880. After her death, Jenny’s husband, famed author, Evan Chase, left his young son in the care of his wife’s family, then left Ireland a bereft and broken man. Evan never published another book. In 1992, yet another tragedy occurred in the form of a murder/suicide, leaving young Aidan Gallagher and his sister to be raised by their staid great aunt. The circumstance surrounding the deaths was extremely murky, at best, and the case was never closed. Fast forward to 2015 where Aidan has decided to put the old castle in a public trust and in the process discovers his parent’s case is still open and has been assigned to an eager cold case detective, who has requested an interview with him and the other members of his family. Not only that, his aunt has hired Carragh Ryan to inventory the library, where there are still private family papers he doesn’t want the public to have access to. But, Carragh is also on a secret mission to find Evan Chase’s unpublished manuscript. It’s hard for me to write a review of a book like this one without giving in to the irresistible urge to lecture on how this type of story would have been right at home forty years ago when Gothic mysteries were all the rage. I’m worried the modern reader, who may not be familiar with that style, will misunderstand the effect the author was trying to achieve here. The writing style was different back then, and while there was a romantic element, it was not the focal point of the story. In fact, there was barely any touching or kissing, and not until the very last chapter. The pace usually started out slow, steadily increasing, building the suspense in the process. This tactic worked to create a thick atmospheric tension, as the heroine always managed to find herself in danger and unable to trust those around her, including her possible love interest. It was good stuff, I assure you. I think the author was trying to capture some of that old magic, but unfortunately, the story is just too ambitious and falls short of the goal she was striving for. There's just too much happening, an enormous cast, running across three timelines, even blending older Gothic elements into the mix, as well as a mystery, and historical fiction, which left the characters underdeveloped, leading to a probable disconnect with readers. The pacing is slow, which may have been deliberate, mimicking the books the novel is obviously paying homage to, but in this case, it falls flat. Once again, it might have been more effective if the book hadn’t been so busy, but it might also be that most of us have become spoiled to a much brisker pace. Having said that, as a HUGE fan of Victoria Holt, a name the author mentioned a couple of times in this book, I ‘got’ what the author was trying to accomplish. I understood every single nuance, every single twist, the folklore, the haunting, the suspicions, the slow burn, the chaste romance, and the untrustworthy characters. In fact, this book has me craving an old Gothic story so much, I’m planning to put everything else on hold, so I can read at least one of my VH novels, immediately, and maybe even a Mary Stewart novel, too. While I recognize this book was not as cohesive as it needed to be, in order to really pull of that trademark sinister atmosphere, I do appreciate the effort, and loved the tribute to the Gothic genre. 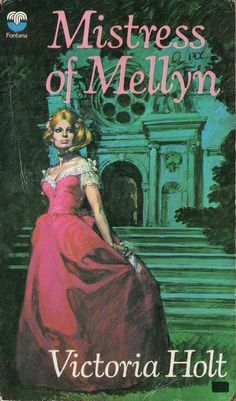 I’m celebrating the fact that someone out there is still reading Phyliss Whitney, Dorothy Daniels, Dorothy Eden, Joan Aiken, Mary Stewart, and Barbara Michaels, and many others, as well as the Bronte’s and other classic Gothic tales. I am also keeping my fingers crossed that interest in the genre will continue. It’s a tiny ‘mini-trend’ right now, but to my mind it’s a long overdue resurrection. 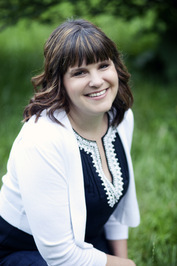 Laura Andersen has one husband, four children, and a college degree in English that she puts to non-profitable use by reading everything she can lay her hands on. Books, shoes, and travel are her fiscal downfalls, which she justifies because all three ‘take you places.’ She loves the ocean (but not sand), forests (but not camping), good food (but not cooking), and shopping (there is no downside.) Historical fiction offers her all the pleasure of visiting the past without the inconvenience of no electricity or indoor plumbing. After more than thirty years spent west of the Rocky Mountains, she now lives in Massachusetts with her family.